Exceptional quality, out of the ordinary, tobacco – Turkish tobacco blends offer some of the finest flavors for your smoking pleasure. Each oriental tobacco blend offered by Indian River Tobacco is hand-picked from expertly blended tobaccos to deliver unmatched richness and flavor while maintaining the smoothness of a superior tobacco. 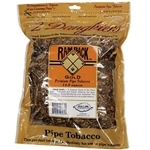 If you’re looking for a smooth, yet robust smoking experience, our Turkish pipe tobacco blends deliver an optimal balance of flavor and smoothness that you are sure to enjoy. Each package of our, oriental pipe tobacco is hand-selected by experts to ensure a great smoking experience every time. Our authentic tobacco is imported from the Baltic Sea region and available in a variety of quantities, allowing you to try something new without commitment, or stock up on your favorite selection. Every order is shipped quickly to ensure freshness and quality. Browse our selection of tobaccos below, and start enjoying an extraordinary smoking experience today. Get FREE shipping on all of our Turkish tobacco products!